Request a free sample today, or come see us at Scoresby by appointment and you can see and feel the stocks we have to be inspired. We believe in providing best print quality at affordable pricing. 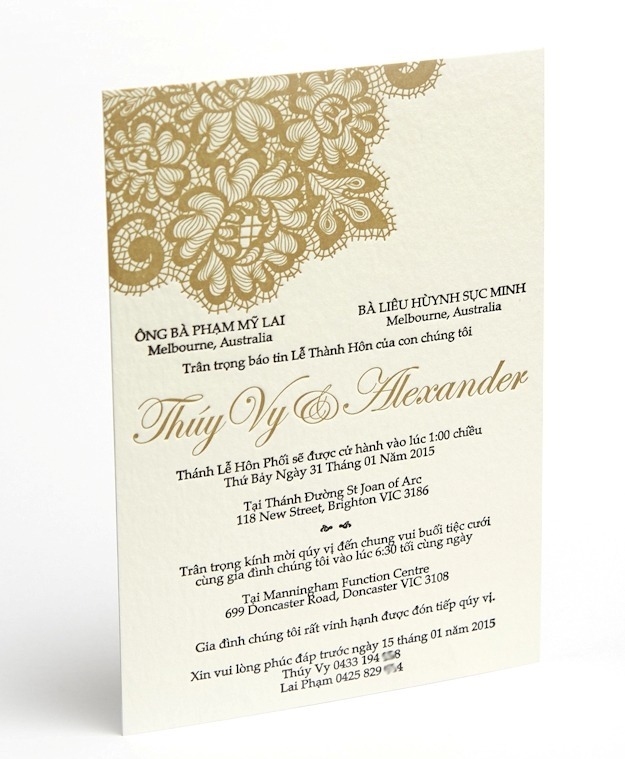 With our letterpress printing you get deep impression with sharp print guaranteed. This was designed by our customer printed in 871 gold ink and black, please ensure all files sent as a PDF in 100 % black cmyk and colour separated or additional fees will be charged. © 2017 Impressive INKreations. All Rights Reserved.